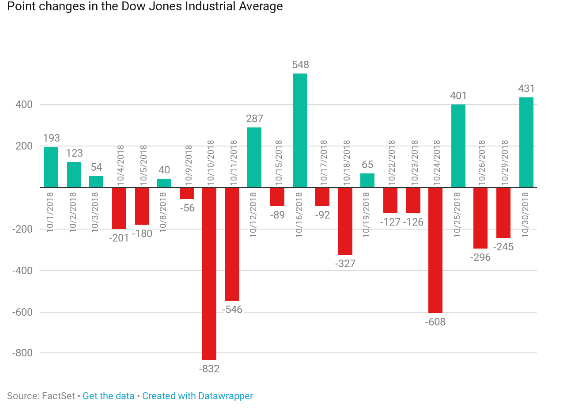 With U.S. equities looking to end a volatile October month on a positive note, the Dow Jones Industrial Average rallied over 250 points on Wednesday morning, while the S&P 500 and Nasdaq Composite followed the Dow in the green–up over 40 points and 150 points, respectively as of 11:10 a.m. ET. The Dow was boosted by names like Caterpillar, Visa, Microsoft and Boeing. Solid earnings reported from Facebook and General Motors also weighed in on U.S. equities. “I want you to know that looking out beyond 2019, I know that we need to make sure our costs and revenue are better matched over time, and that’s something that I am focused on as well,” Facebook CEO Mark Zuckerberg said. 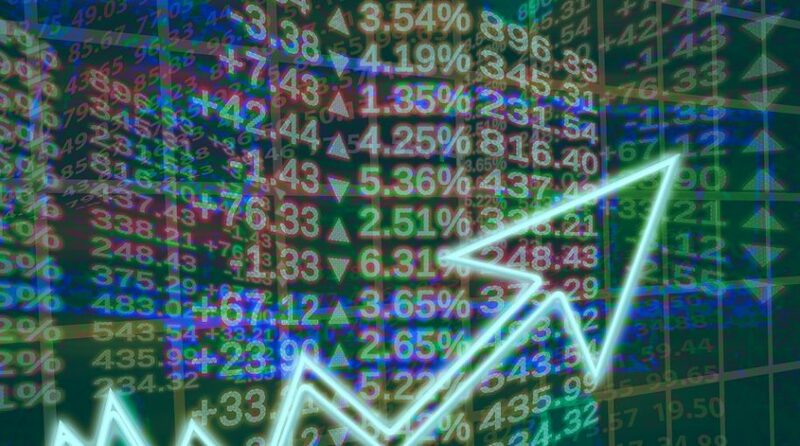 The S&P 500 and the Nasdaq could post their first back-to-back gains for the month of October. The latter is officially out of correction territory with Wednesday morning’s gain. Regardless of whether the Dow ends in the green, it will be a memorable month for stocks after an extended bull run the last 10 years. Through Tuesday’s session, the Dow is down 6%, the S&P has fallen 7.9% and the technology-heavy Nasdaq is behind 11%. Still, some market analysts see brighter days ahead despite October’s roller coaster ride.